Auckland’s renovation and new build specialists. We specialize in the build of architectural designed homes, we take your dream home from plans & concept and bring it to life without compromise. We can transform any existing home and help you realize it’s true potential. 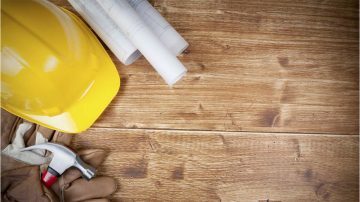 As licensed building professionals, we take a tailored approach to our building services by working with like minded architects to build quality, healthy & fully customized builds. We can complete any home renovations to a superior finish. We have a proven record of accomplishment and are a reputable company in greater Auckland. We ensure that all projects are done with utmost professionalism using quality materials while offering clients the support and accessibility. For us, honesty is the only policy and we strive to complete all projects with integrity, not just with our clients, but also our suppliers and contractors. With hundreds of successful projects under our belt, we are one of the most trusted construction companies in Auckland. We undertook a significant project with Tailored Building Solutions in 2016, renovating our small house and building a new wing to virtually double the floor area. Despite the stresses and difficulties that occur during such work, especially living on site, the team were a pleasure to deal with over this time. We are very happy with our new home and are very pleased to recommend Paul and his team. We have worked with Tailored Building Solutions for over 7-years on architectural projects across Auckland, including the renovation of our own family home. Working on a range of projects spanning additions, renovations and high specification new builds - their team delivers both excellent communication and exceptional quality of craftsmanship. 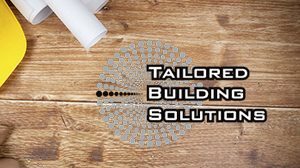 For a seamless building experience, we would highly recommend Tailored Building Solutions for your future project.